When people don't think about the impact of their decision-making on others, it can ultimately lead to tragedy - the tragedy of the commons, said UC Agriculture and Natural Resources researcher Mark Lubell during an interview on Jefferson Public Radio. Lubell, director of the Center for Environmental Policy and Behavior at UC Davis, studies human decision-making in the context of the environment. "People think about what happens on their private land and make their private decisions, but they don't think about how their private decisions affect others," Lubell said. "You see this all the time with human decision-making." An example he uses with his students is how they and their roommates manage their shared kitchens. 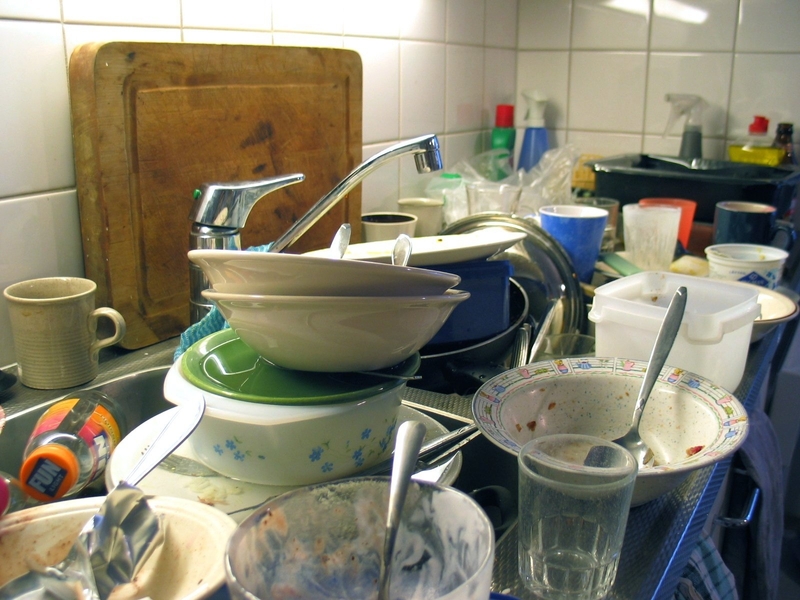 "When one person's dishes pile up, it impacts the others," Lubell said. "I ask how they would make rules to solve the problem." Lubell said the parties need to collectively develop a policy that is mutually beneficial. "If we didn't have that capacity, we would be in big trouble," Lubell said. Cooperation tends to be the norm, however the media is more likely to cover cases of conflict, so they tend to get more attention. UC researcher Mark Lubell uses dirty dishes in a shared kitchen as an example of how one person's decisions impacts others.